I was Attacked on Christmas! How I used Martial Arts against an Intruder on Christmas! And a great work out to you! the martial arts killed Christmas. Dead a poisoned rat in a trap dropped in a well. I had just gotten my Black Belt. all sorts of abilities for me. My wife and I lived in a small house in Redwood City. There was an upstairs and a downstairs. that the bathroom was under the stairs. felt the need to relieve myself. and headed for the bathroom. a shape rushed at me! but I could feel the motion. and chopped with perfect form. The intruder crashed against the wall. and he was down and out! and I turned on the light. The Christmas tree lay a ruin. and tapped you on the shoulder. getting a black belt is just the start. advanced studies in rare fields. after getting their black belt. They have nothing to look forward to. until the Matrixing courses came out. study those rare fields of knowledge. that infects most martial arts. A present like a whole martial art. Got more videos out on the MonkeyBoxingNow site. if you want the blog to come to you. And don’t forget to be politically correct. Say Merry Christmas if you want! who object to a well wishing! It’s the only way to go! so this is the best way to ensure you get them. You can find all my books here! A Truth not shared is no Truth At All! Get Yer Read Hot Monkey Boxing Lessons Now! now all you have to do is make it through Xmas! is to work out every single day. who is in top condition! Click on the Monkey to find out about Monkey Boxing! time for an update on Monkey Boxing. that created matrixing and neutronics. who choose to remain ignorant. To them I recommend Matrixing. before you jump into my world. Monkey Boxing is doing excellent! About 20 videos were released this month. or almost never been seen. Grab Hands is a VERY heavy zen drill. BUT…you have to do it right. The Circle of Blocks opens up total new vistas of ability. or only briefly referenced or described. and never been seen in ANY other martial art. the coming months are going to be fantastic. a freebie for the Monkey Boxers. I am gearing this off a real class I am teaching. and the book will help in this. and trying to make sense out of this for a couple of months. that haven’t been seen for a LONG while. never the zen side of it. And it is TOTAL dynamite. like a lazier guided rocket! let me give you some bonus good news. Every month will be archived once past. on the first few days of the next month. the videos from last month will remain up. sign up and the previous month is still there. (but, please, don’t give my stuff away). when you can actually get two months for the price of one. you will have to purchase separately. have access to every month since they began subscribing. AND GET READY FOR HANAKWANMASS! and give yourself the best present ever! Why I Wrote About Martial Arts and Indian Stealth Skills! Time for a great weekend! on Indians and their stealth techniques. in why I wrote that series. during the time of Geronimo. One summer Geronimo went on the warpath. and waited for the military to come. Baldy had only a bit of hair. One night the family heard the Indians in the distance. and travel to town the next day. which included a couple of young girls. and acted like the ranch was deserted. Red and Baldy saddled and skedaddled. listening to the sounds of marauding Indians. and Baldy was much more bald. that encouraged me to write the series on Indian stealth. by a neighboring Indian tribe and stuck. and here’s the Matrix way of using weapons. Monkey Boxing is going Great! and have a great work out! The Ultimate American Indian Martial Arts Stealth Skill! The Truth of Martial Arts and Indian Stealth Skills! make the election go right! Making Kenpo Karate unique to every individual. Major announcement will be released in the next newsletter. of the series on Native Indian stealth tactics. This is the fifth part of a five part series. was possibly the finest light infantry in the world. I know that I lost a few people with the last article. once they read my last article. and mention a few odds and ends. the American Indian was possibly the finest light infantry in the world. he became possibly the finest light cavalry in the world. was because if he wasn’t…he starved. so much as infected with disease. The Indian was raised to be a warrior. how to walk and hunt with extreme silence. for the spirituality of the world. Here’s a few things I didn’t mention. there is a correct way to move. my grandmother would not let me slouch. that I sit with my back straight. Take this attitude towards every part of your body. You need more leg strength. Breath so that every cell in your body benefits. Cultivate the ability to be still. Dress with an eye to blending with the environment. Wouldn’t you love to see a camouflage dress suit? Be aware of where you stand. Here is a not so funny story. who claimed he could smell the enemy. on what he could smell. The members of his squad quickly learned to trust him totally. CANNOT travel a mile through water. So what is the shark sensing? Might this not be an ability we know nothing about? Check out the Master Instructor course! A BIG ANNOUNCEMENT IN THE NEXT NEWSLETTER! Zen and Indian Stealth Skills in the Martial Arts! Newsletter 834 ~ Subscribe now! Were the Indians Masters of Their Own Brand of Zen? you probably don’t really know what I mean. This is the second of a five parts series. Subscribe to this newsletter to get all five parts. was probably the finest warrior in the world. that the truth of you becomes apparent. Indians had this zen attitude towards silence. can be used to create silence. But that is only the first stage. or wind in the rushes. To master such sounds requires an appreciation of silence itself. is brighter than the sun at noon. and don’t make a sound. and don’t let your circles make a sound. which is a great art for pursuing silence. did you know there is a learning curve to the martial arts? There is a learning curve to everything. wiggly waggly here and there. But here are two things that your mommy never told you, and a different way of looking at the learning curve inherent in mankind. most people don’t want to learn. but they don’t want to apply it to themselves. and they never look at what they are really doing. They work out and don’t think. and shows what the scale of learning in the martial arts actually look like. At the bottom we have the people who want to fight. to prove what they say with their fists. Near the bottom we have the physical cultists. In the middle we get most people. they are not scientific about what they do. Above the middle we get dedicated artists. the martial arts are really all about. At the top you get the matrixed martial artists. And that there is a scientific way of getting to that truth. At the bottom are the people who want to dominate. but with one large problem. that they are near useless. because you can’t understand Karate unless you speak Japanese. without any idea of what meditation is. or done anything to translate the mass they are stuck in. that is the martial arts. into the real ability of the martial arts. Are you stuck on the downward path? as quickly as you can? 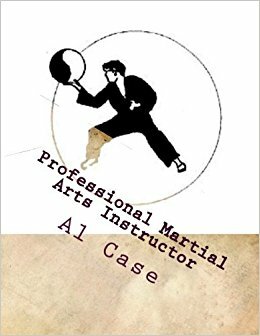 Here’s the most important link a martial artist can ever find. have a great work out! 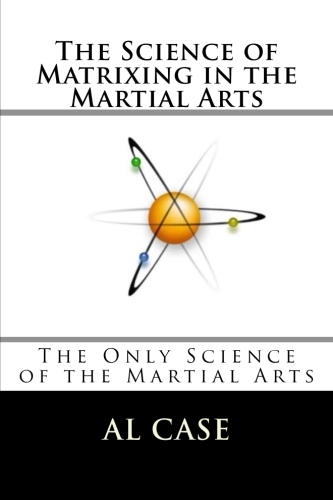 How the Martial Arts Became a Science! A complete Martial Arts System! ~ Click on the cover! and he sped up and slowed down his heart. and the scientist couldn’t believe their instruments. So why not convince yourself it’s cool? when you order a course. The martial arts are separated in specific geometries. I have provided a few records of what I did. and you can see the exact progression of steps I took. you have to read Neutronics. And here is where it really all came from. it was like a giant gong went off. I could see all reality. and a simple phrase jumped into my head. is that there’s a lot of newbies to the newsletter. that there is more to this stuff than a gimmick. Ask if they’ve ever seen me take a guy to black belt. only believe your own eyes and ears. you better think about whether you should listen to him. and produced many video courses. All the proof is here. You just have to want the truth. It’s Quick and Easy…if you are willing to learn. in the next newsletter or two. That’s a whole mother trip. It’s great for a work out! when you are free styling. Would you like to fight while unconscious? would you look at the car? Or would you look at the driver? run over by a car. the car has no mind. It is a piece of metal and machinery. except that which is fed into it by the driver. So you look at the driver. A car has no intention. Only a human being has intention. So you must look at the driver of the car. you must look at the eyes. The eyes are the windows to a man’s soul. and you can see the intention. You can see the thoughts. You can see the intention. At first you see eyes. You see flesh and tissue. see the thought behind the body. The spirit behind the flesh. The ‘I am’ directing the action. and even believed them for a while. See the whole body by unfocusing. and not seeing who’s driving. but it will be slow and faulty. Who do you think is looking through those eyes? Went into the giggling hysterics. They didn’t want me going unconscious. I had to stay there and take my punishment. I didn’t want to get in trouble. It was just too hard looking them in the eyes. it will help your matrixing fantastically. And that means you can’t fight. is the Blinding Steel course. then I finally go through the Matrix Kung Fu. 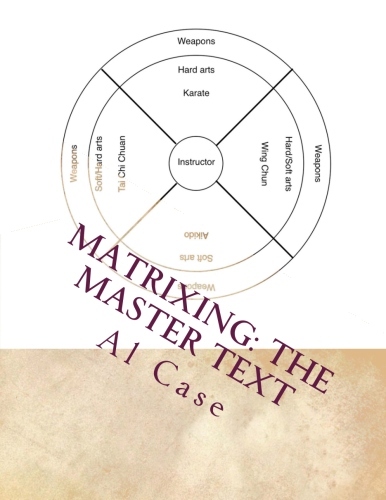 four original matrixing courses are. Which Three Martial Arts Forms Should You Study? Tiger and Butterfly Martial Arts System. which three forms would you recommend? learn as many arts as you can. if you could only study three forms…? Those are out of the Pan Gai Noon course. Why would I recommend those? and use that ground in your hand techniques. up the body in those three forms. which are outlined in Binary Matrixing. and the request was for three. but Shaolin spreads out over a number of concepts. There are three forms in Matrixing? is to put logic in the martial arts. to more than three forms? I believe it is called. then those are the three. oodles and oodles of pure energy. I always think it is the best. You have to, or why write? I have to wait to see what people say. 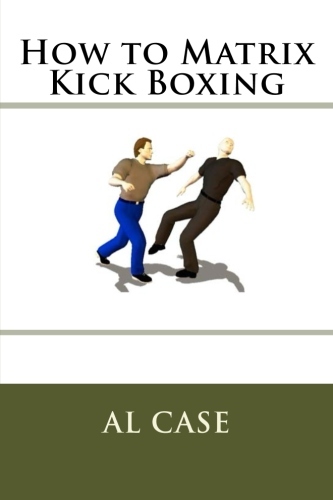 a better martial arts system. into better and better art. then I would have rejoiced mightily. You guys feel free to consider your choices. Newsletter 826 ~ Subscribe now! Don’t forget to leave a good review on Amazon. here’s some stuff about martial arts drills. and have them practice shuffling forward. and go do some boxing. But the drilling is crucial. before a student can build the wall higher. and build the basic building blocks. And you are making a crucial error. Watch a person start to walk from a standing still position. so they can push a foot out. so they can fall forward. They go in two directions to go in one. A most inefficient method for starting the motion of walking. People just don’t know how to get started. can contribute to the forward motion. put to work in the simple act of walking. then let me give you a further example. Do both the hard and the soft! I had a group of students attempt to close distance. and they were abysmally slow. And they didn’t even like it. I had them play a game. and spring back when their opponent grabbed. This put a whole new excitement into the drilling. even as he was going forwards. at how they had improved at closing distance. it won’t be long before you are faster. when it comes to freestyle. set up a counter to attack. because you are adept at moving in both directions. and have become adept at the whole motion. is the product of neutronics. Gives understanding to the whole picture. But who is doing the martial art? That is what neutronics is about. to fully understand one direction. Most people only train in one direction. while avoiding a force or flow. or some other soft art. In Business since 1984. On the net since 2002. Go to the Testimonials in the menu and do a search for your martial art! Al Case is a powerful presence to be around, but if you can confront it, then you will not be sorry, for there is no one like him, and it is an extreme privilege and honor. Where was this information 24 years ago? This course is one of the best things to ever happen to me. Thank you Al Case for the gift of knowledge! Let me start out by saying thank you. Thanks from all the martial artists who asked why. Al, I'm in the Security and Law enforcement field and carry Instructor credentials, so effective methods in combat and teaching them is what I constantly look for. My students have started coming up to me after class telling me how much more they are enjoying it, and that the classes have stopped being so ridged and now flow in a kind of give and take between me and them. I have stopped being a task master and started having fun and letting them teach me as well. I did the Master Instructor Course and it hit me. The Basics that are so concisely communicated in this course including the Matrix principle IS the solution. It doesn’t matter what “style” I call my art, because all styles follow these same principles. It doesn’t matter how hard I train or how many repetitions I do if I don’t train the right way. And I would never become a master if I didn’t know how it all fits together. Now I do! I can honestly say that I am now on the path that I have always sought as a martial artist. Thank you Al! Search the testimonials for your martial art! Who are the Martial Gods and Why are They So Angry? Why Everybody in the World is Crazy!